We love checking out your cars and reading your stories on the #meguiarsuk hashtag. We regularly browse to keep up to date on your projects and it’s awesome to see the meets and shows you visit. So, what’s been going on this week on the #meguiarsuk tag? Reflection photos are always a pleasure, this Jaguar XF is no exception. Posted by @kacperkaras_194 after a thorough detailing session, it looks awesome! At the other end of the scale @mark_scenemedia and @ben_scenemedia have been collecting flies during a recent trip to Europe. It’s not just shiny clean cars we like to see, stories like this where cars are being used in anger are awesome too. @dxltz got creative at Fitted UK show and brought along his own ball pit. A shame to hide the exquisitely smoothed engine bay but a lot of fun! Also from Fitted UK show, @carlos_g88 posted a picture of his incredible E36. This car has recently been to the Meguiar’s UK detailing bay and is still looking great under the show hall lighting. Meanwhile over at @reflexautodesign the Meguiar’s Mirrorline is undergoing a few repairs to get it ready for the show crowds. A factory long wheelbase Ford Econoline, this van will be travelling up and down the country with us chocked full of Mirror Bright products. But it’s not just show cars on the #meguiarsuk hashtag, there’s some fantastically well cared for factory cars too. We love seeing posts like this one by @cageddog84 showing off the products he uses in his car care regime. 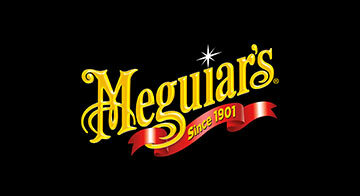 To join in the conversation tag your posts with #meguiarsuk – right now there are more than 15,000 posts up there!